London: Edward Stanford, c.1850. Steel engraving, printed area 315 x 370mm. Original colour. 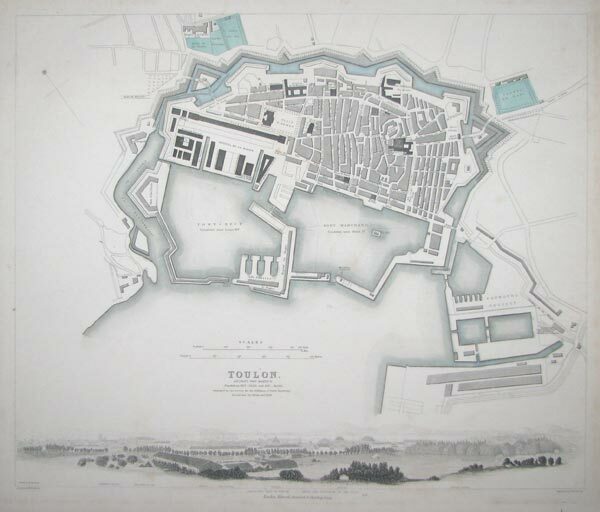 Detailed map of Toulon, with a vignette prospect under the plan. This is a genuine antique print, published at or about the date specified, but guaranteed over 160 years old.